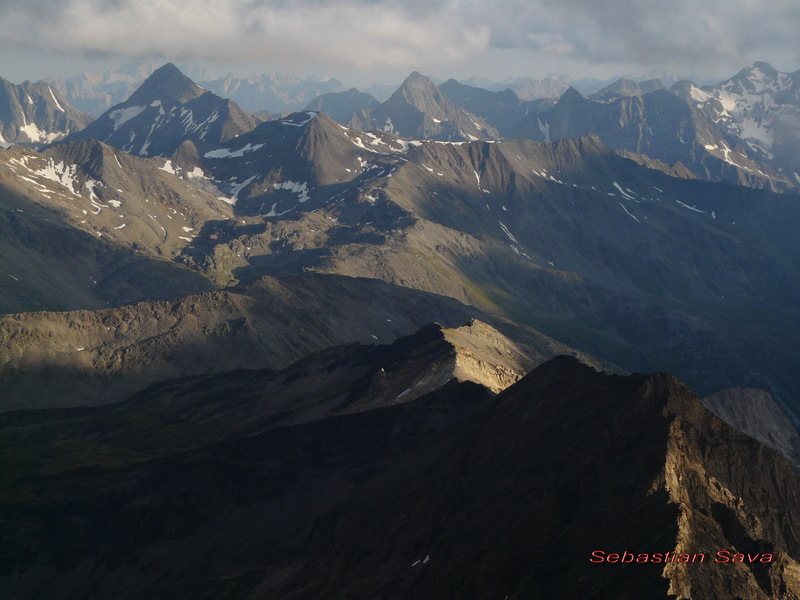 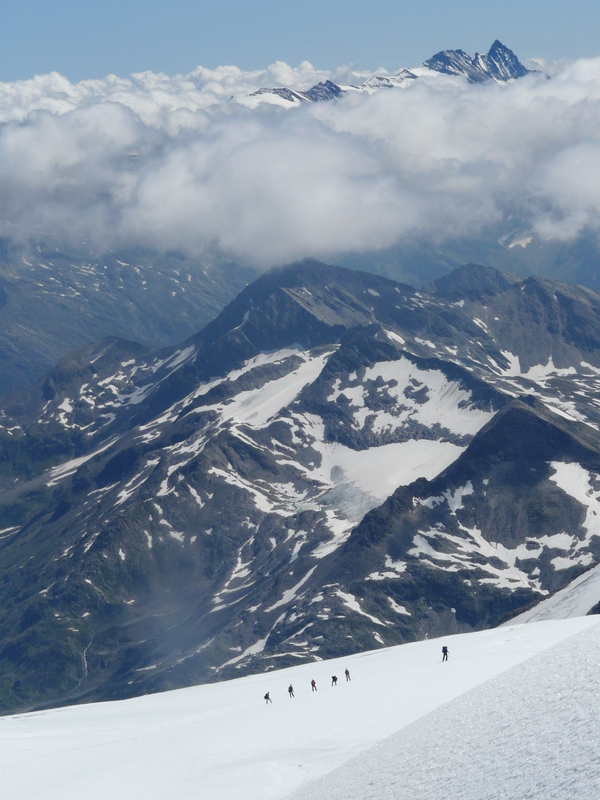 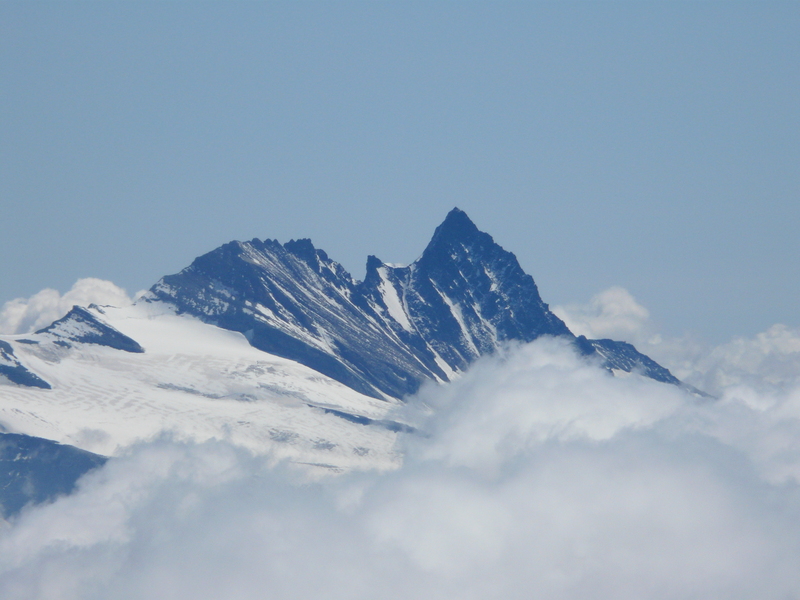 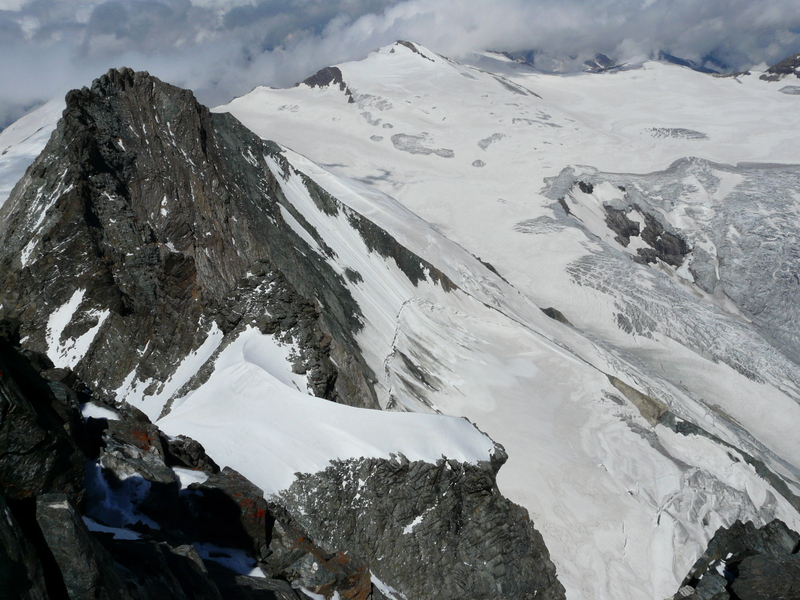 Grossglockner (3798 m), the highest peak of Austria, seen from Grossvenediger. 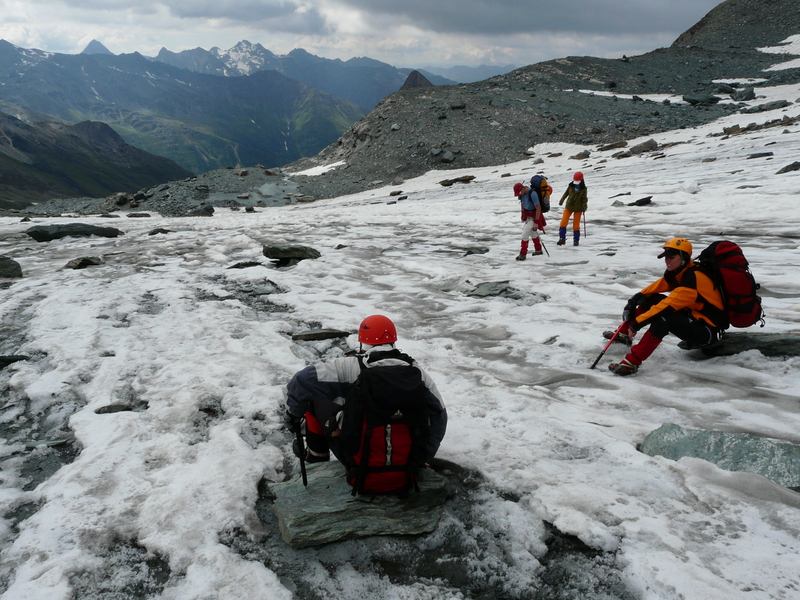 A short brake on the Kodnitz glacier. 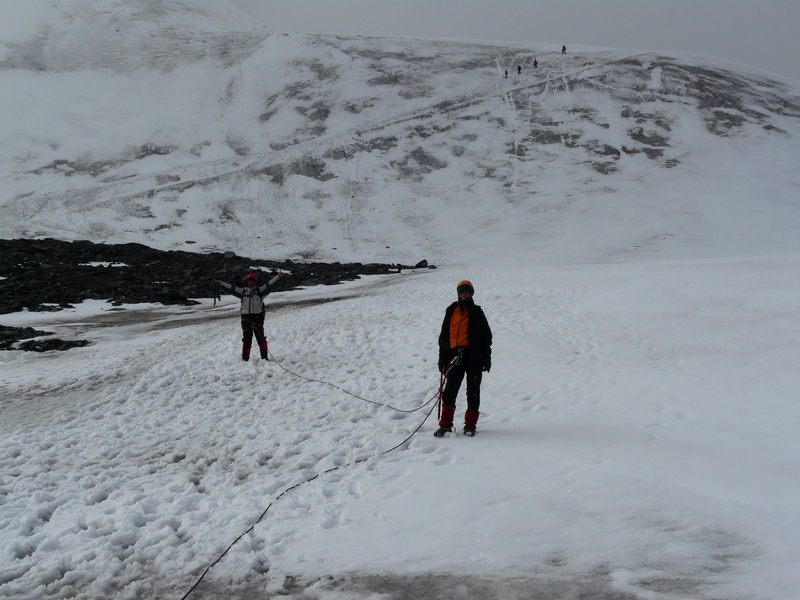 At the base of the pyramid. 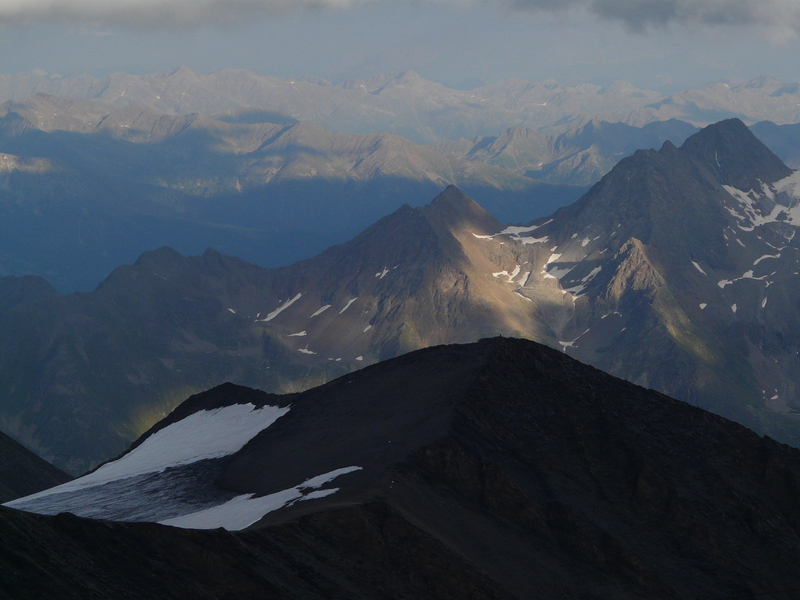 Grossglockner under a veil of mist. 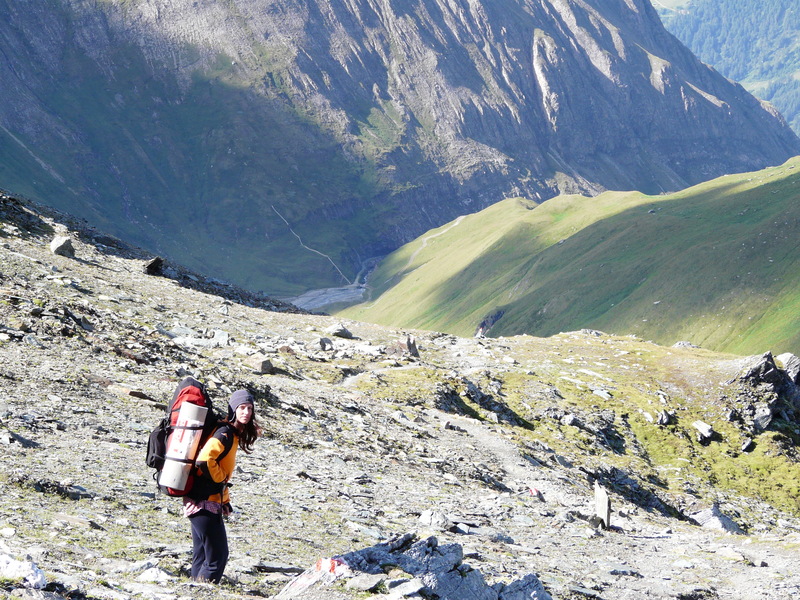 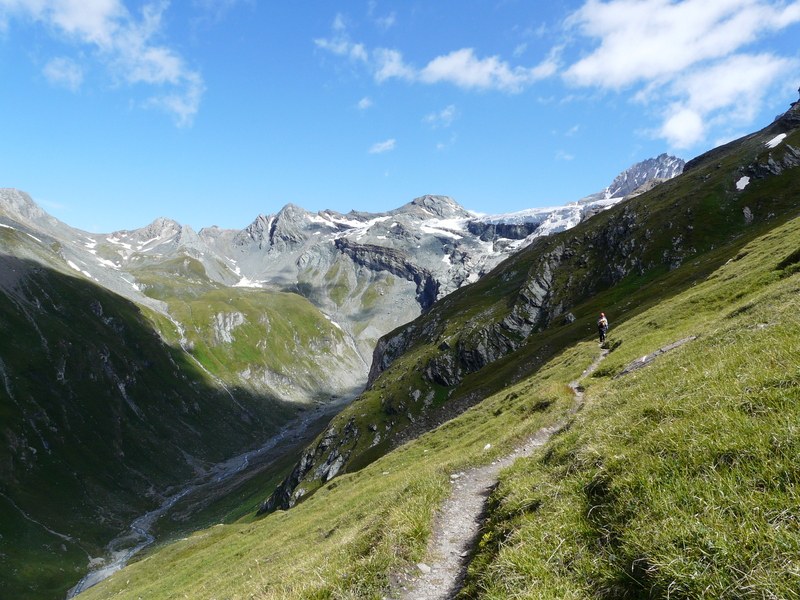 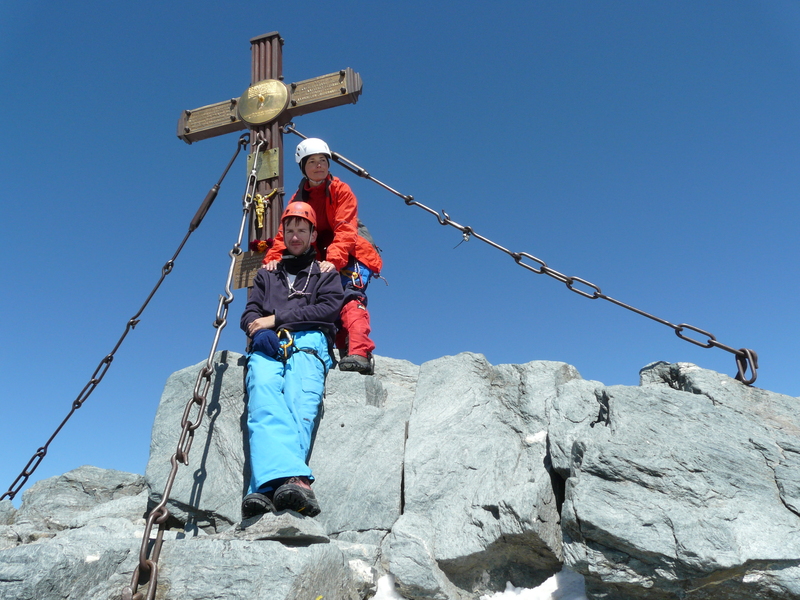 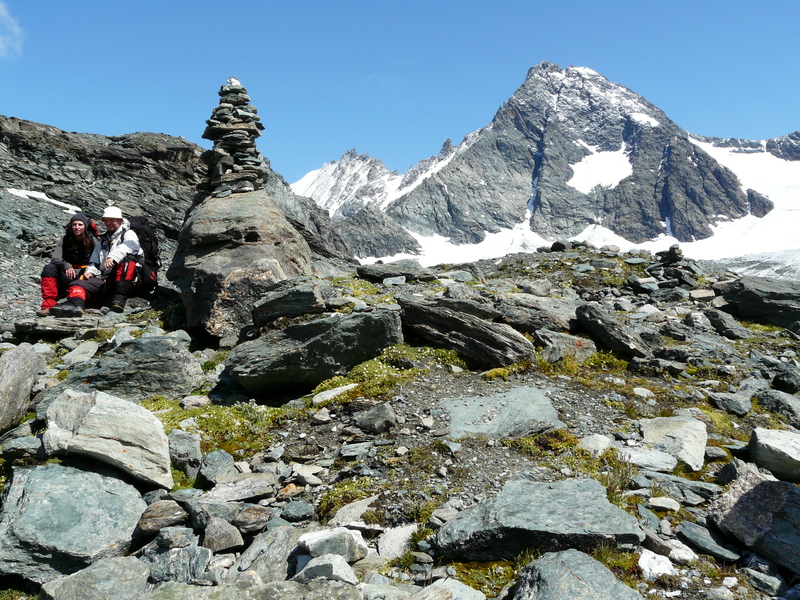 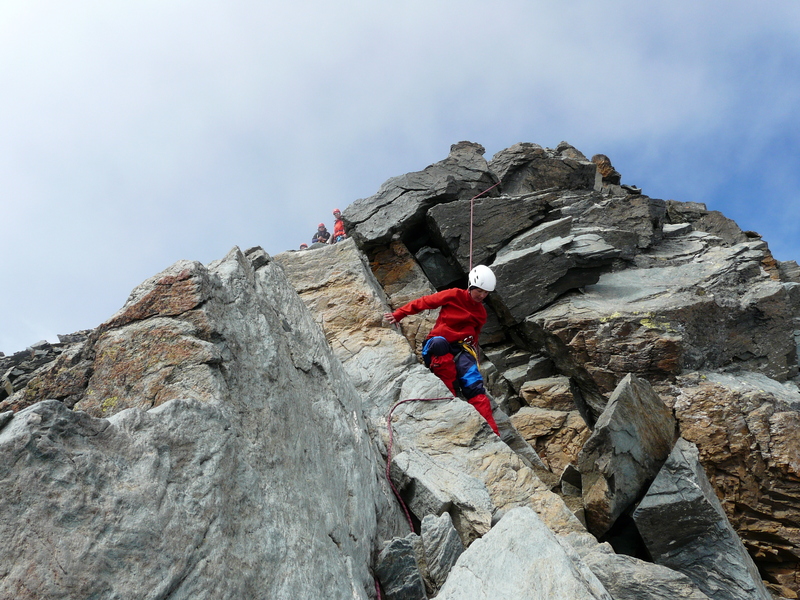 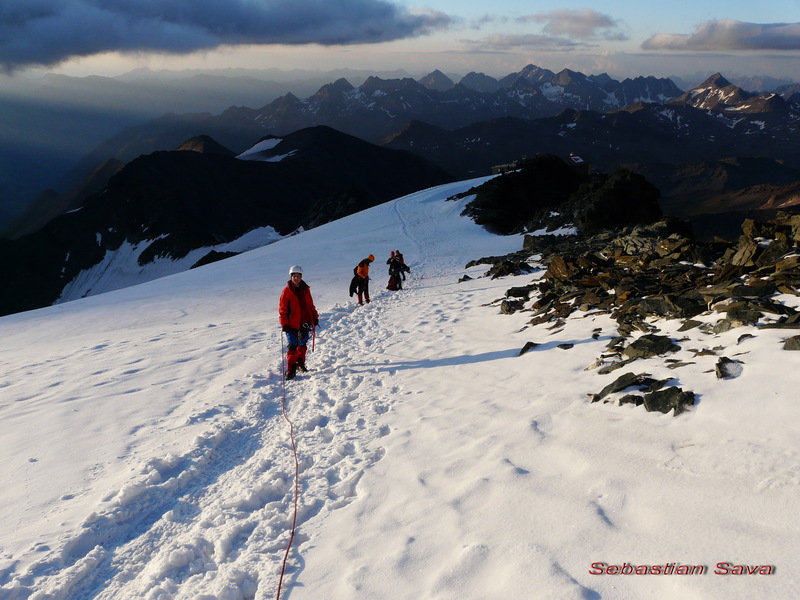 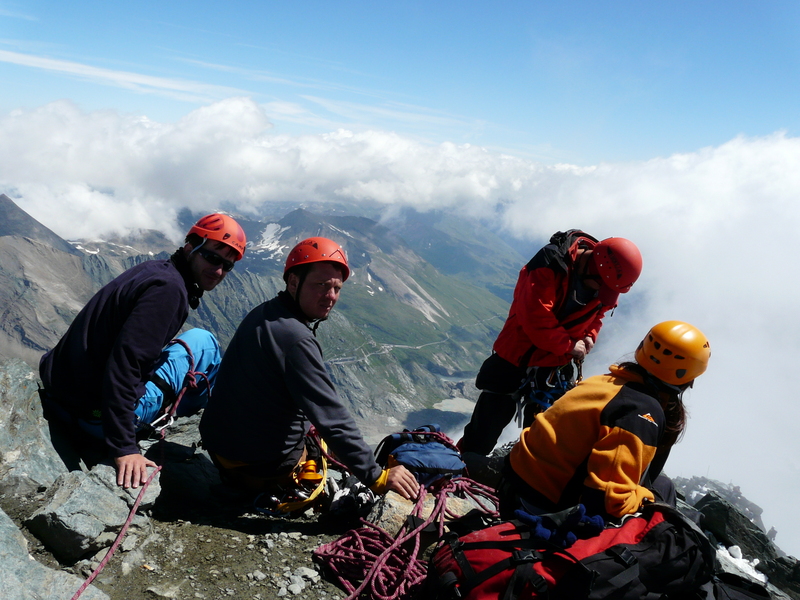 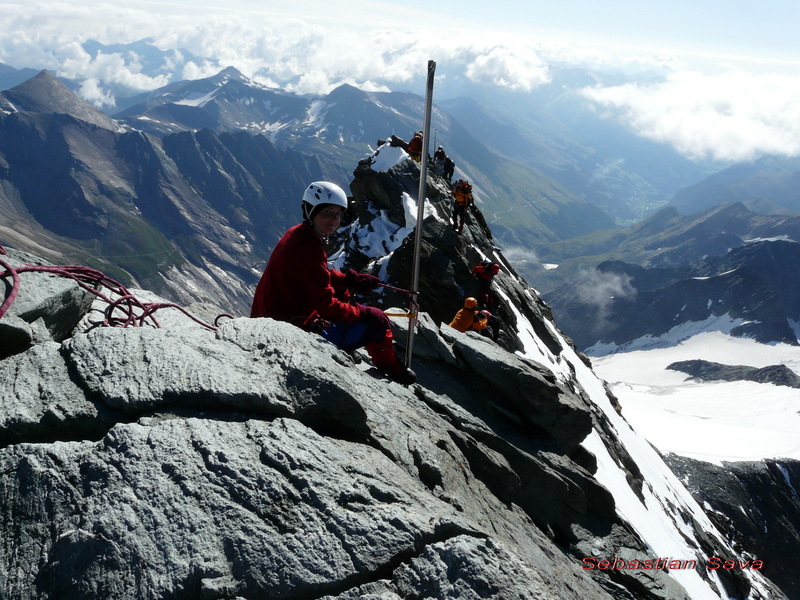 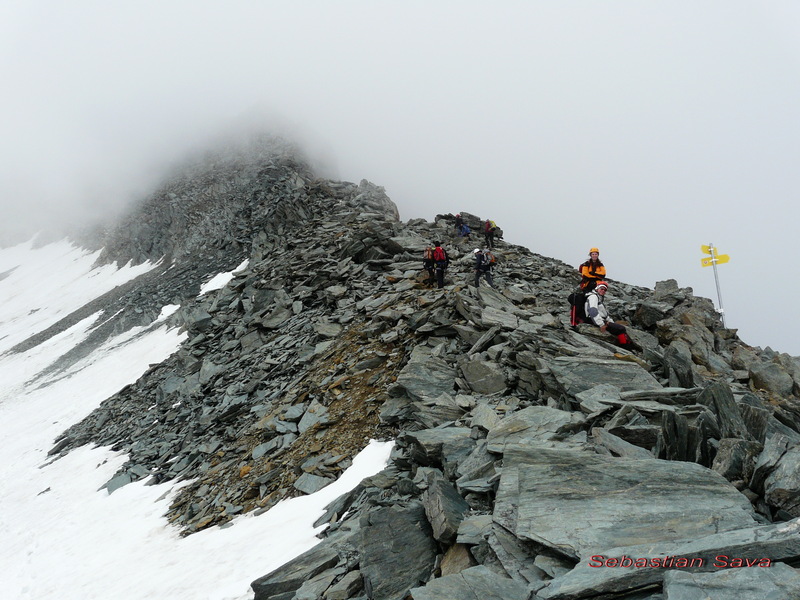 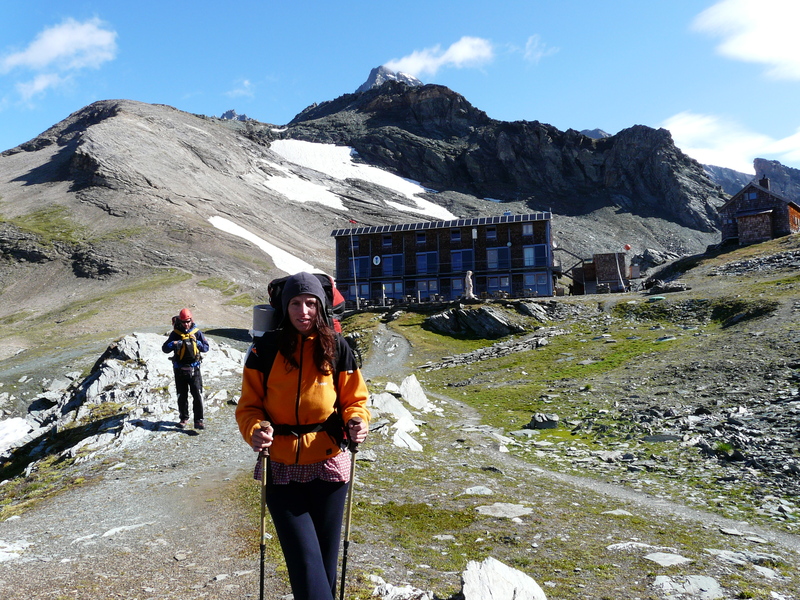 After crossing the entire ridge of Kleinglockner, we had to go down a bit to the small saddle that divides the Grossglockner from the Kleinglockner, called Obere Glocknerscharte. 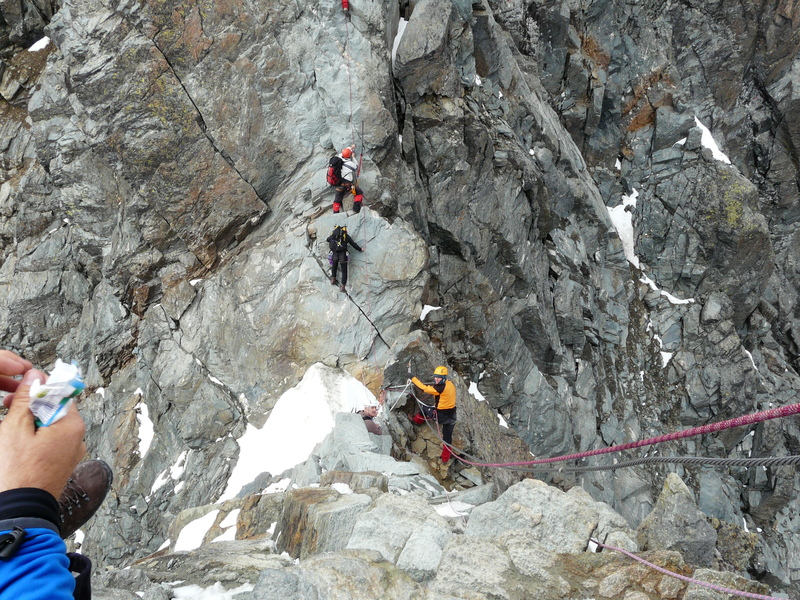 This short descent is a a drop of about 15 meters very well equiped with iron chain. 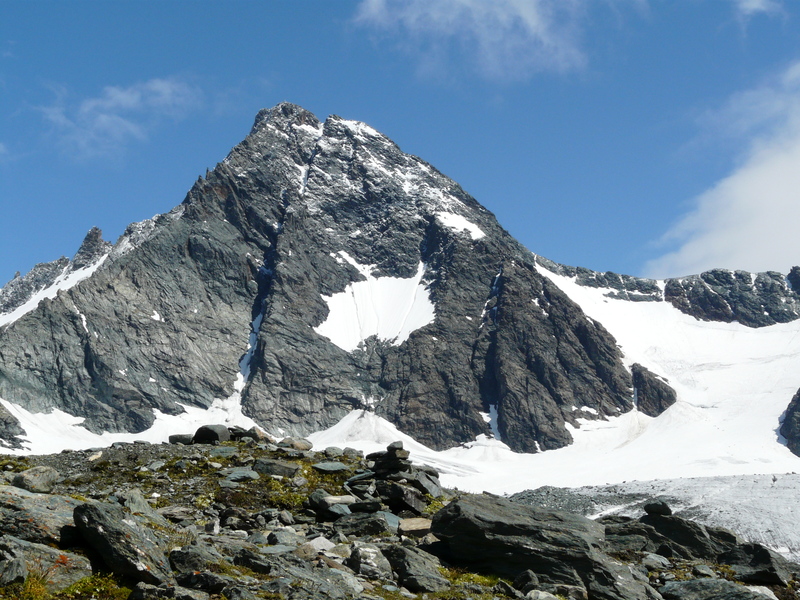 The saddle is actualy a snow ridge with a length of about 8 meters and very narrow, just a few inches. 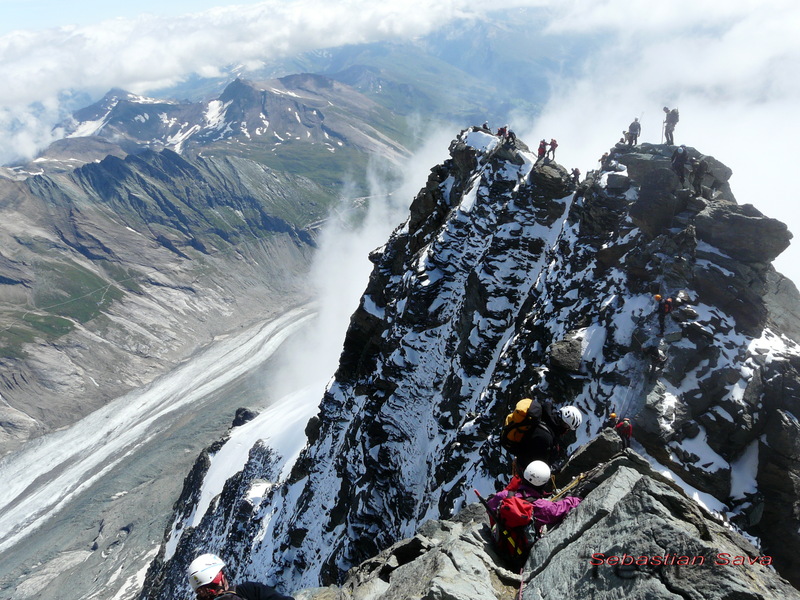 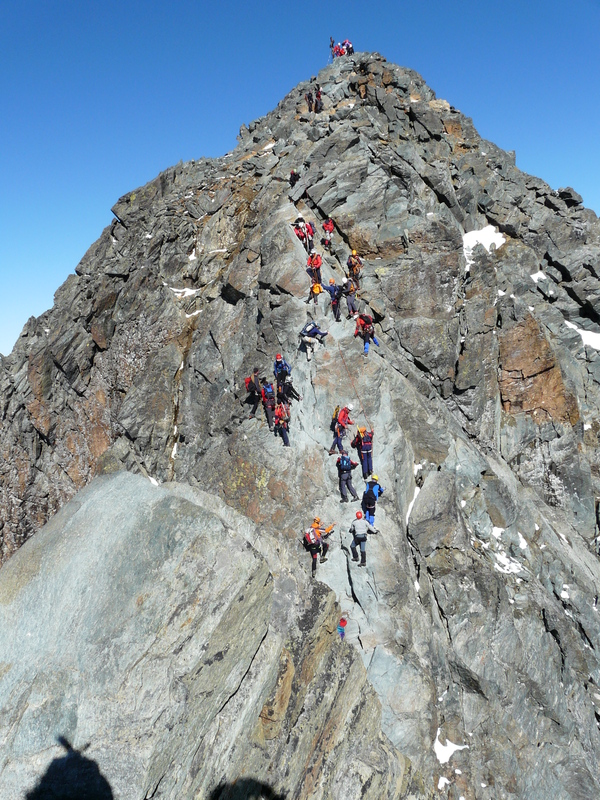 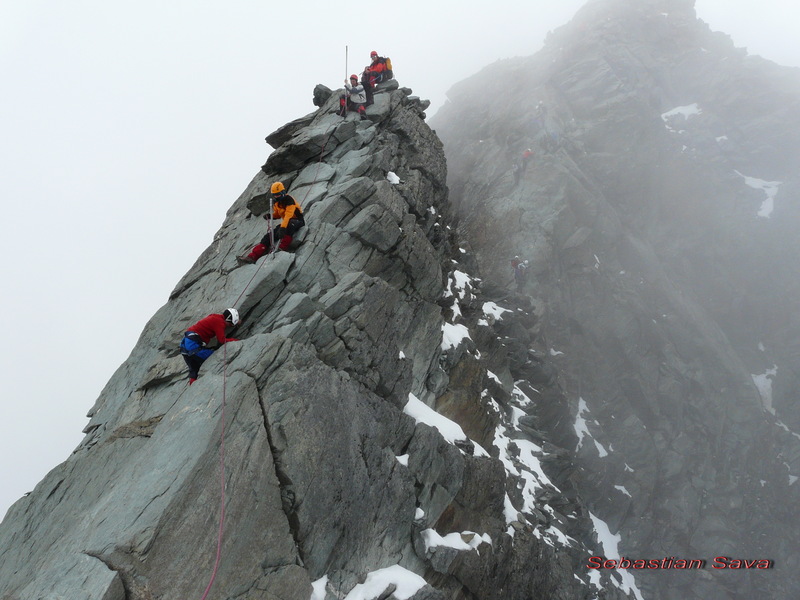 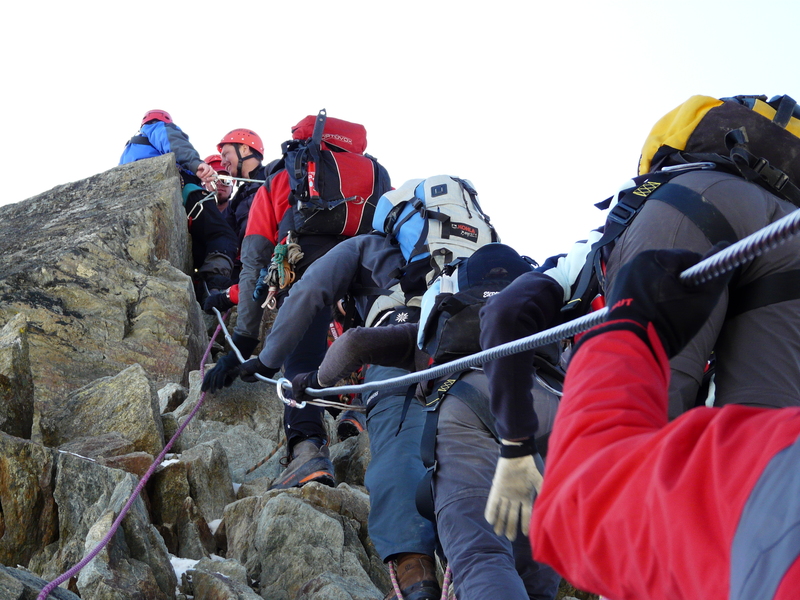 This is the point where everybody loses a lot of time because the traverse must be done one by one.We’ve been obstructed almost 2 hours near that small and narrow saddle between Klein and Grossglockner, the highest col in Austria, at 3766 m altitude. 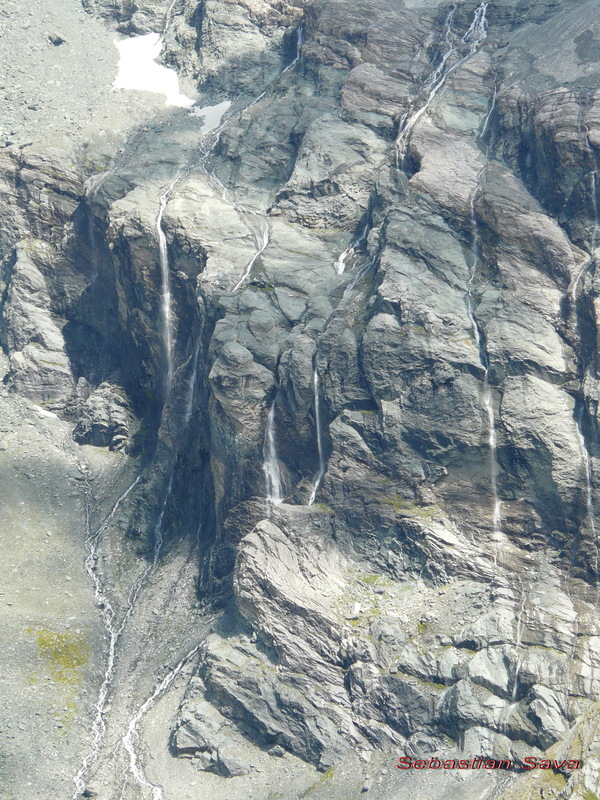 This is the col as you look from above the drop. 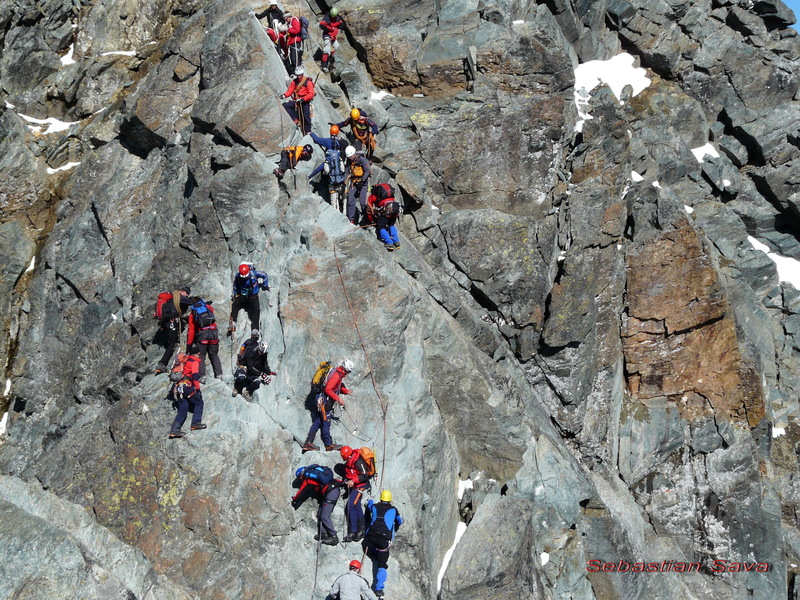 A total mess on that saddle, a traffic jam in its purest form. 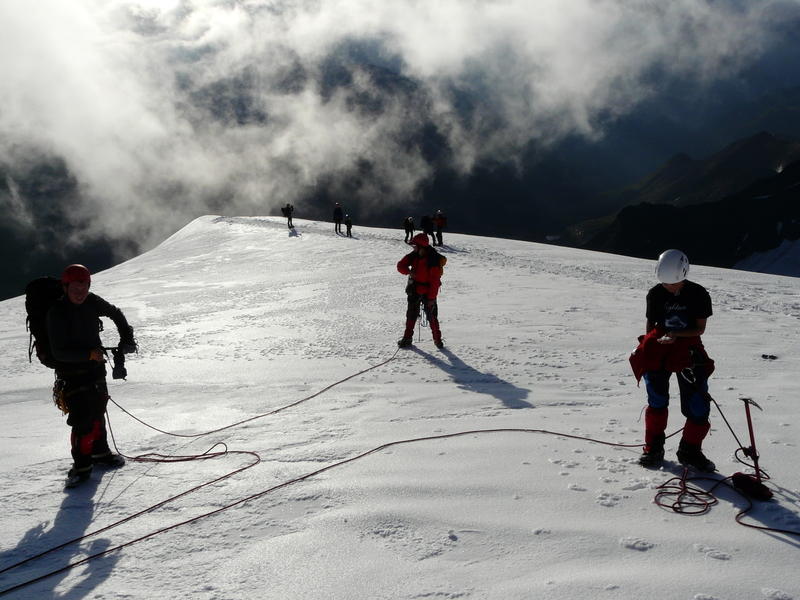 Parties going up, parties going down, some of them messing with the ropes of the others. 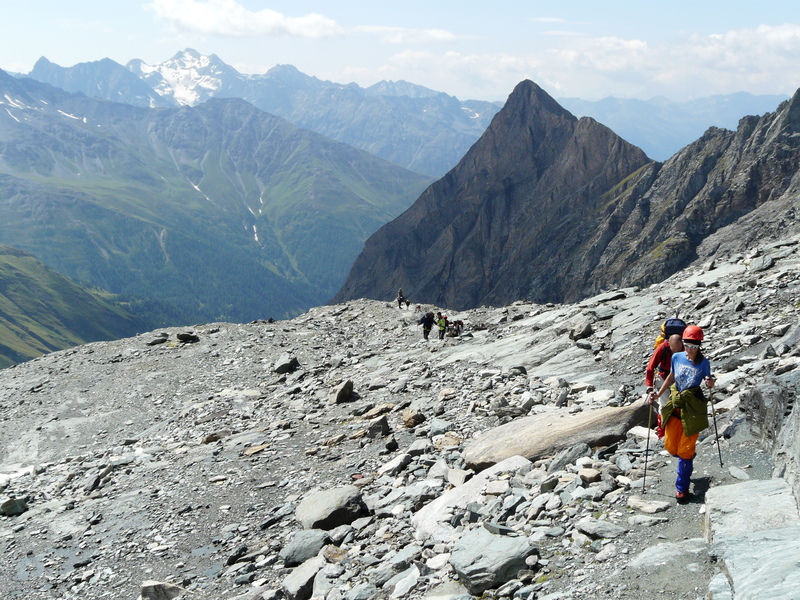 As Cecil Davies said in his book Mountain Walking in Austria, the queue on Kleinglockner is an image of a supermarket check-out. 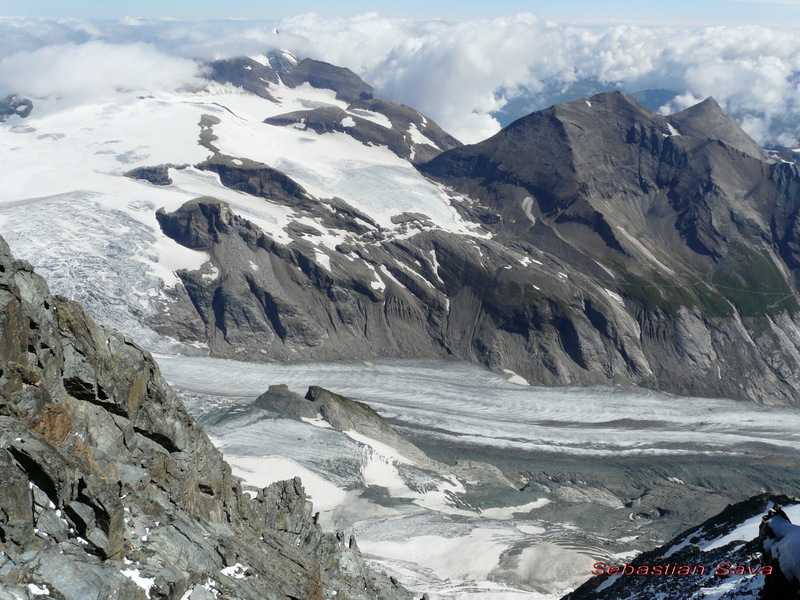 The tongue of Pasterze Glacier seen from Kleinglockner( 3770 m )Looking down at the bottom of the valley where Pasterze glacier moves slowly, on the north-east face of Grossglockner. 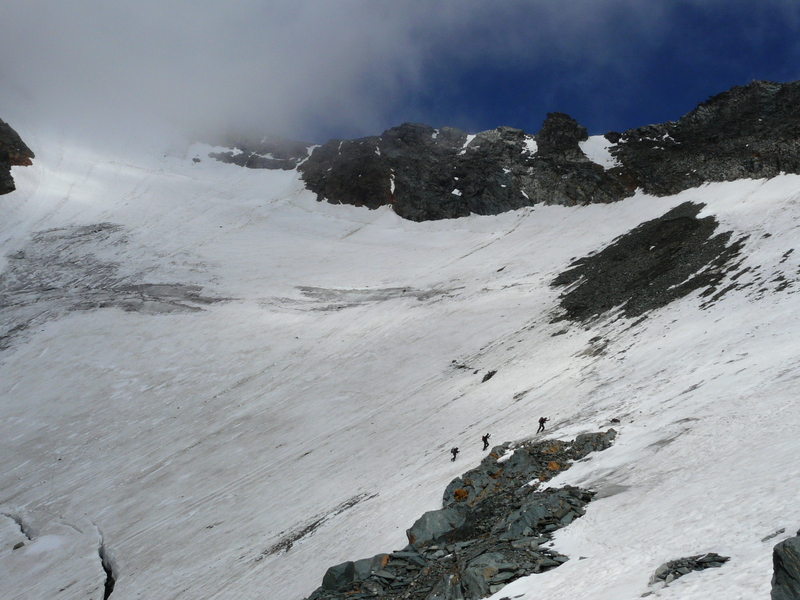 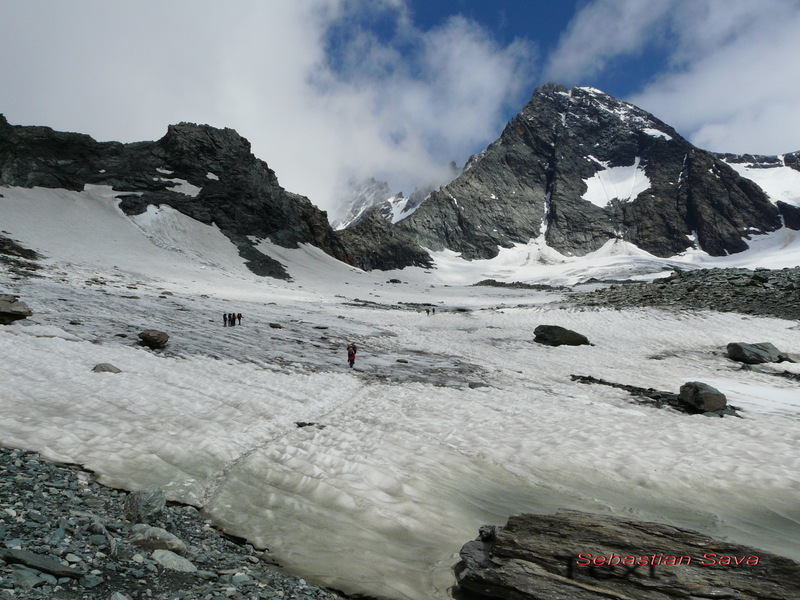 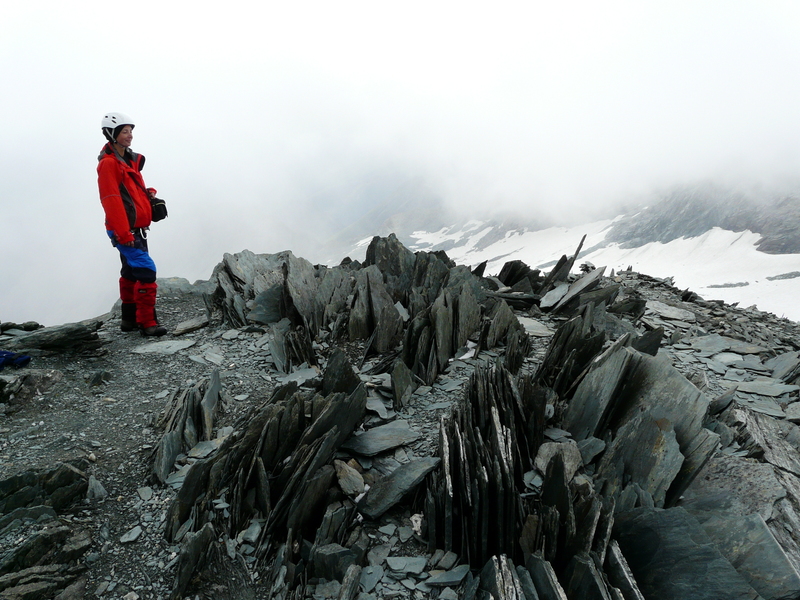 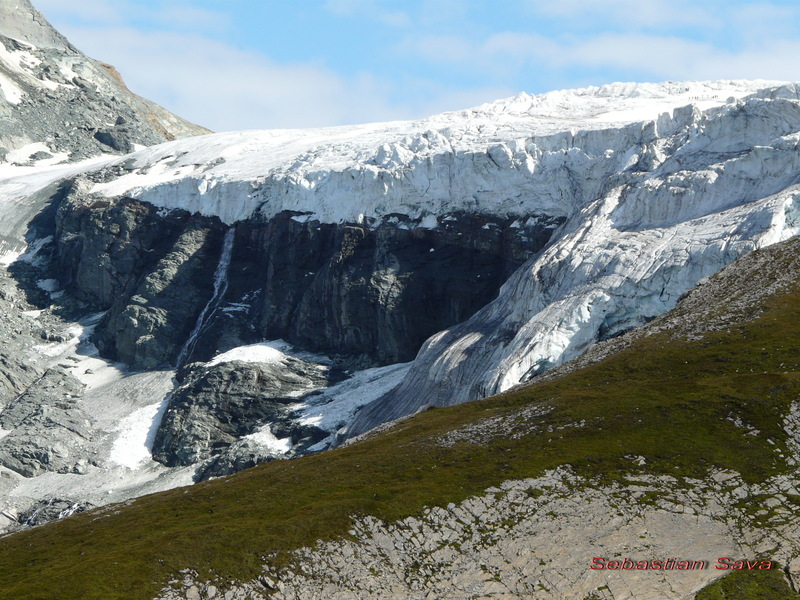 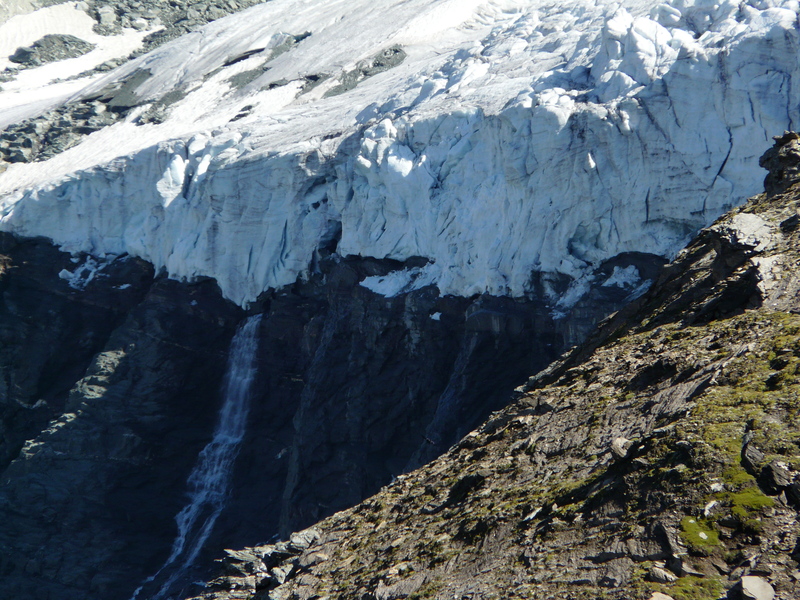 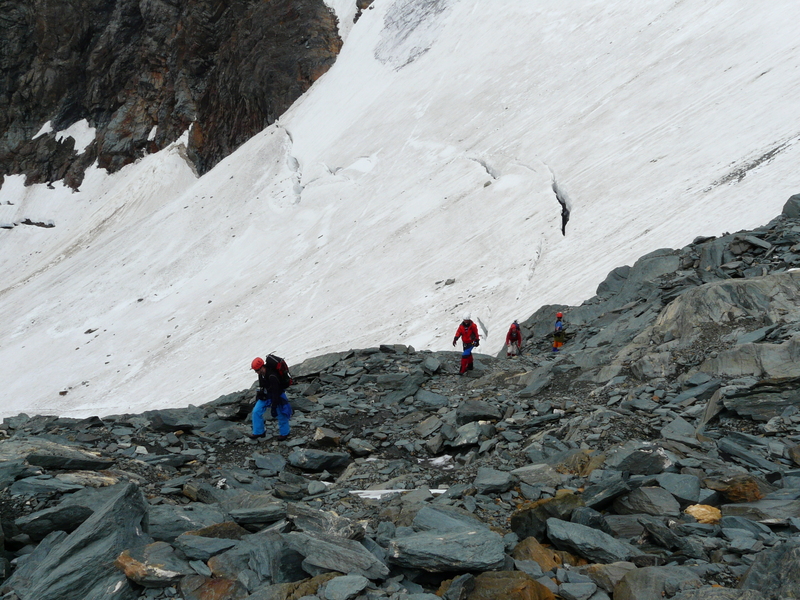 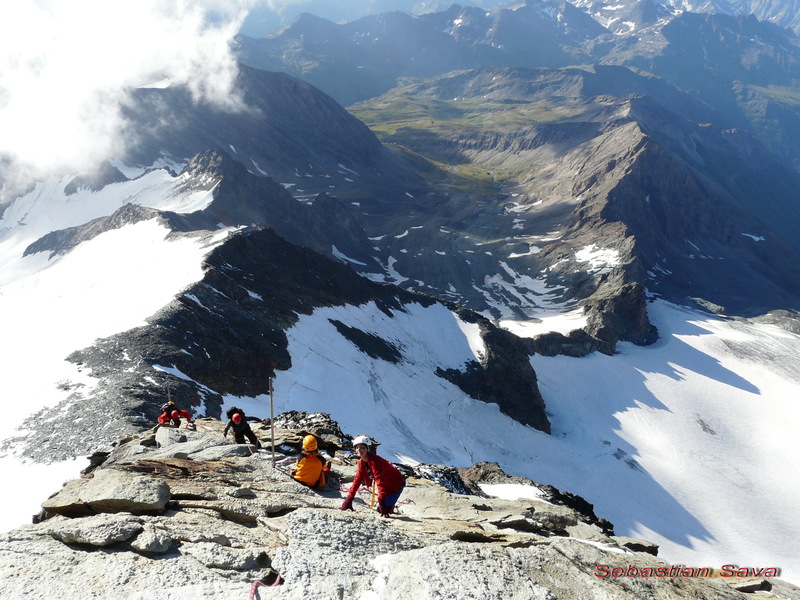 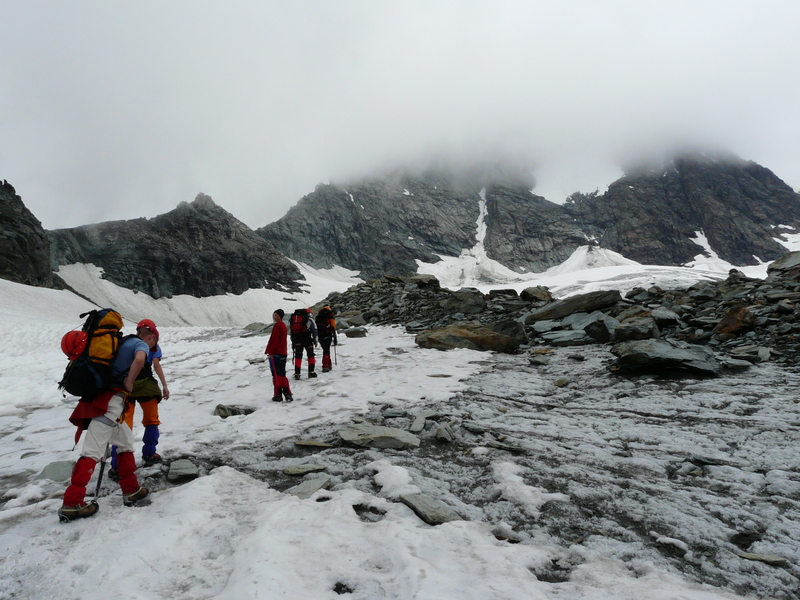 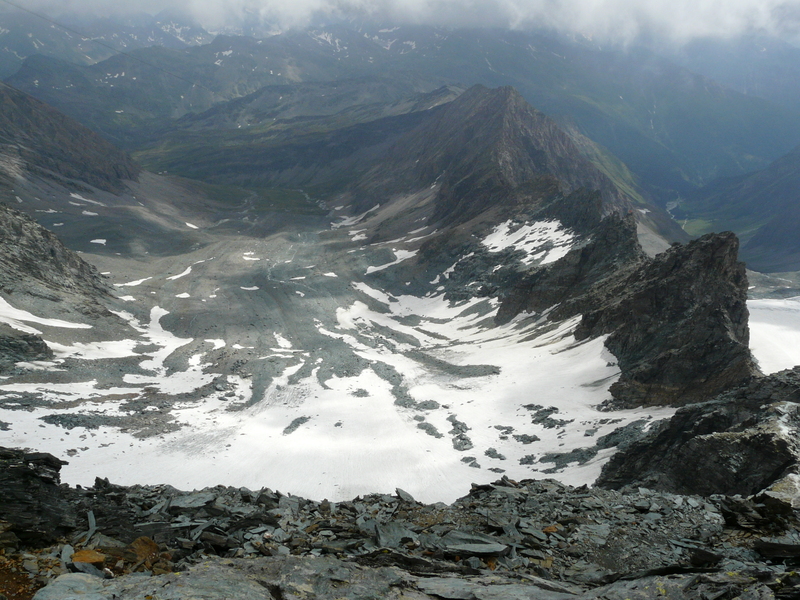 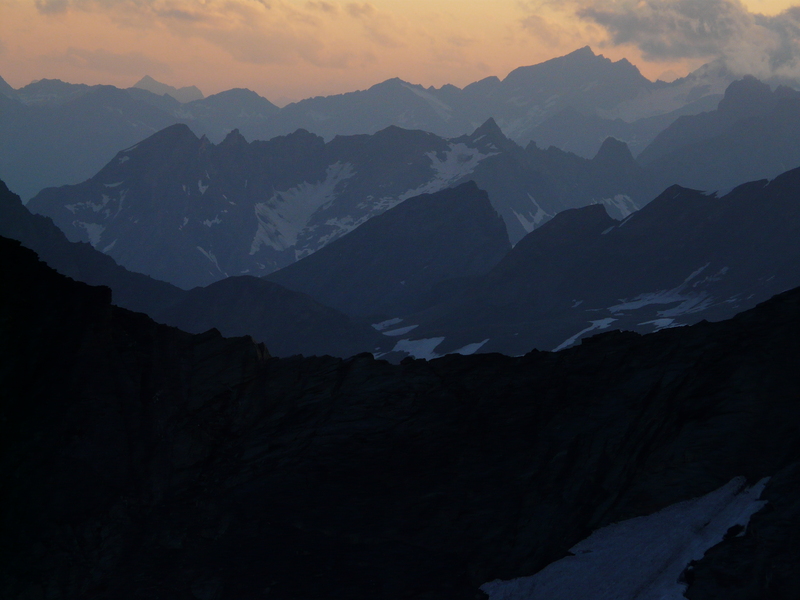 Pasterze is the longest glacier in the Eastern Alps, approximately 8 km legth. 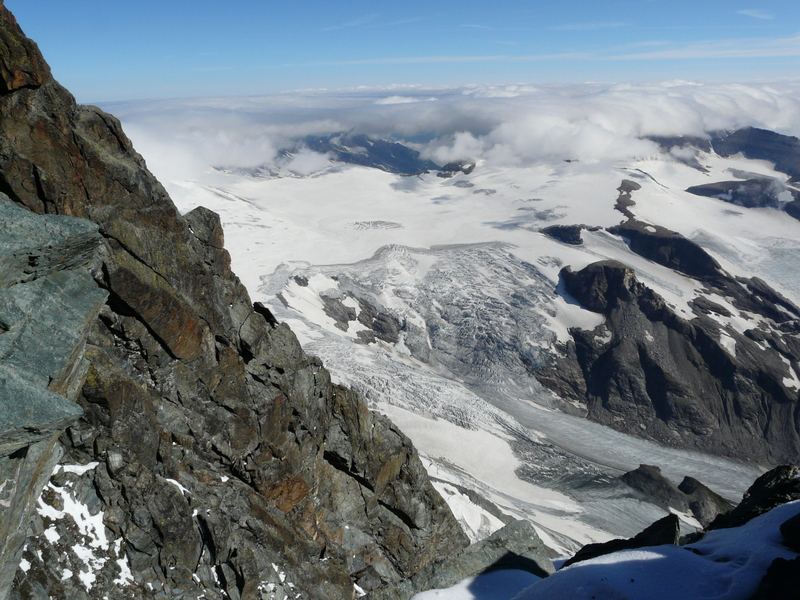 Hohe Tauern; Klein Glockner and the tongue of the Pasterze glacier seen from the top of Grossglockner. 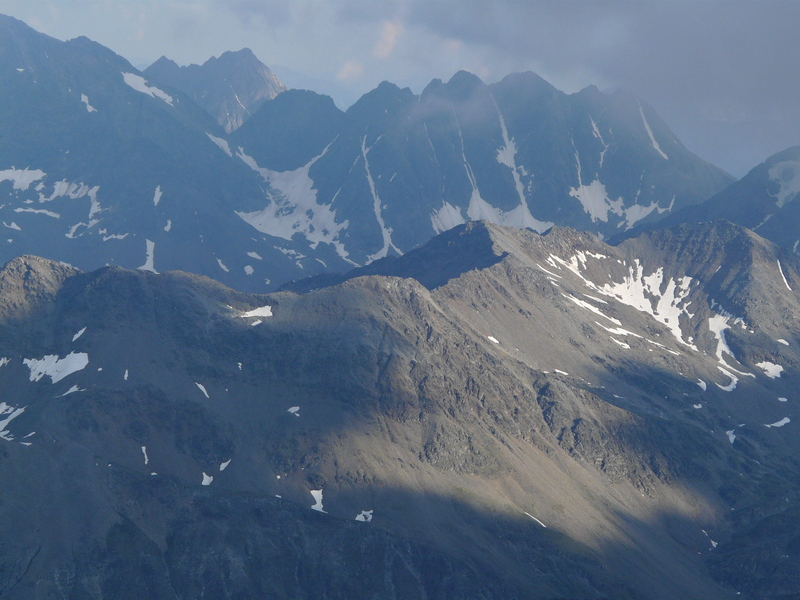 The view towards Glocknerwand (3721 m alt.) 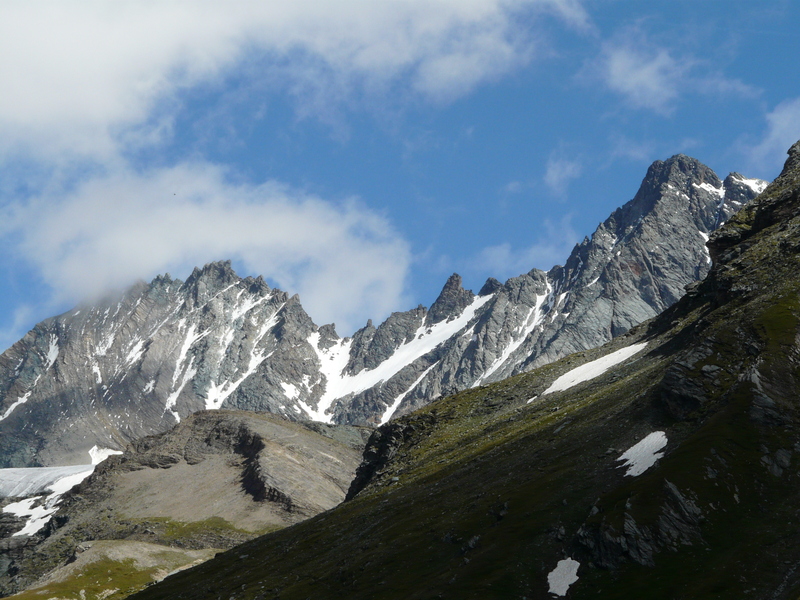 is amazing – so wild and remote. 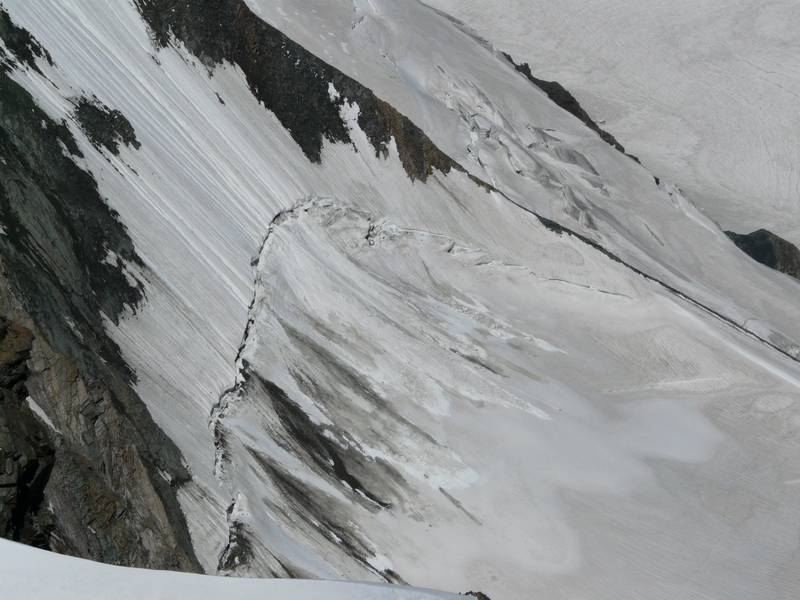 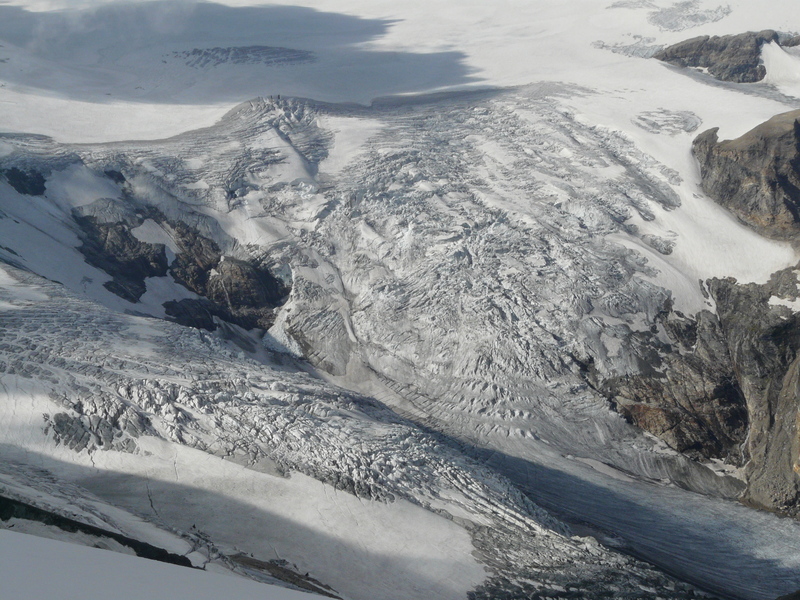 Its east face is marked by the long line of a bergschrund – a crevasse at the upper end of a mountain glacier that separates the moving ice of the glacier from the stagnant ice above. 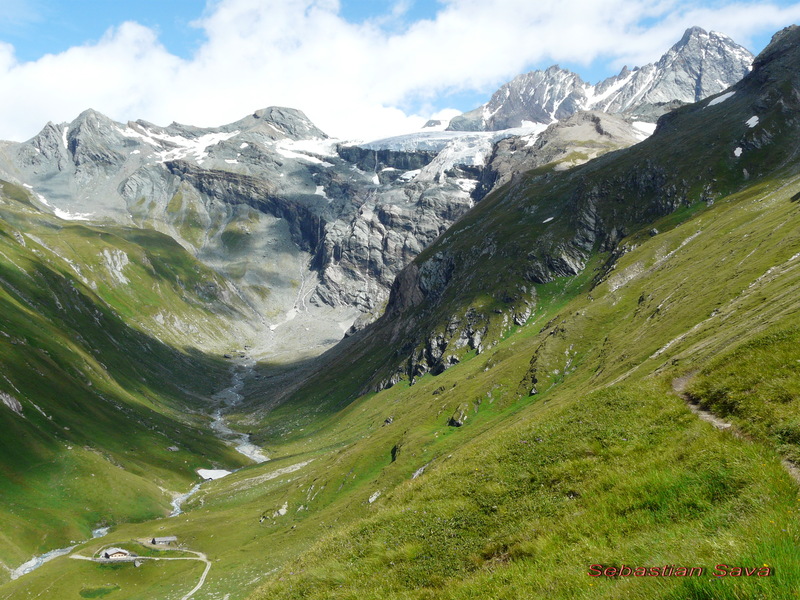 Hohe Tauern. 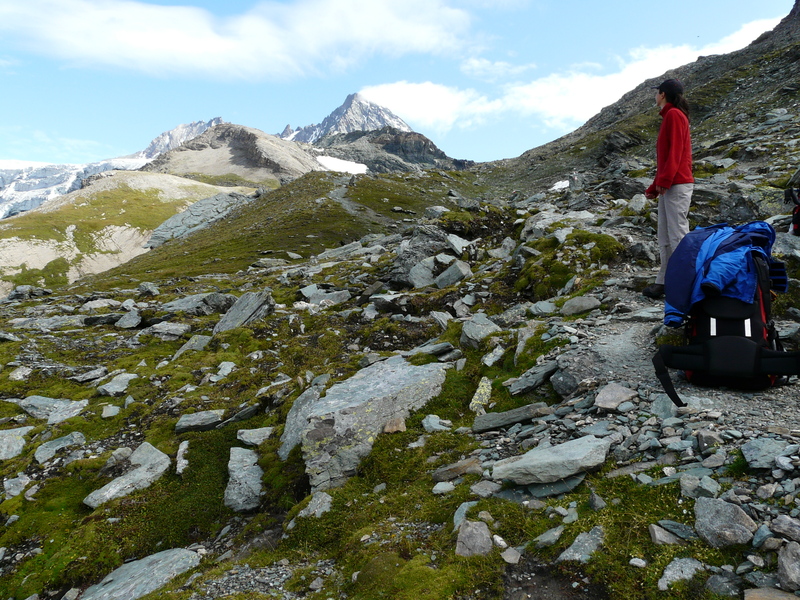 Witnessing geomorphology onTeishnitz valley.